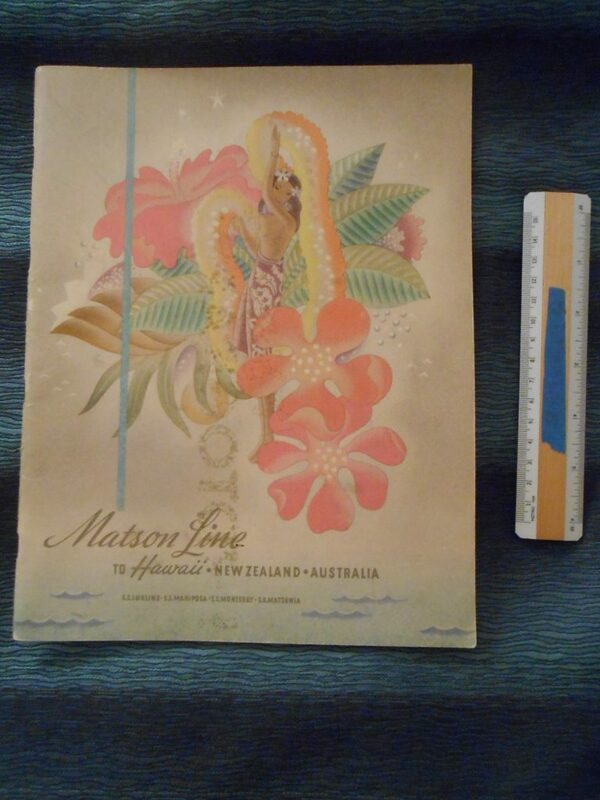 Beautiful brochure for the 4 1930’s ships Lurline: Mariposa: Monterey and Matsonia. The first part of the brochure covers the routes of the 7 seas and the latter part walks us through the interiors of the 4 beautiful ships. The Lanai suites on these ships were quite luxurious. Unusual double centerfold one dedicated to the routes and one showing the Lurline in profile. New perfect condition.